London Mayor Sadiq Khan will outline his commitment to London’s long term environmental well-being, in a draft plan released on Wednesday this week. 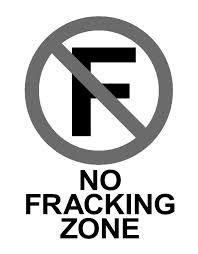 As well as embellishing a commitment to protecting London’s green spaces, Mayor Khan has spoken out against the controversial shale gas production process called “fracking” (short for the hydraulic fracturing process which is its key feature). Although there are no current active fracking applications in London, it is said that the capital contains many potential fracking related revenue streams waiting to be exploited. Calling for the refusal of fracking applications by all boroughs in the country’s capital, he cited concerns over the process, which has been said to create toxic pollution as well as having the potential to contaminate water supplies and create alarming public health risks in the process. Fracking generates toxic Silica dust, Volatile Organic Compunds and Hydrogen Sulphide, among other pollutants. These have the potential to cause both physical and neurological harm, making it no surprise that the Mayor is among many who are very much against its introduction into their localities. For those who are interested, the draft London Plan will be published on Wednesday 29th November and the public consultation will run until 1st March 2018. CS9 Consultation now closed: did you have your say?